October savings are not a TRICK and definitely a TREAT. Check out Tootsie’s best selling items, Dubble Bubble’s NEW Ball peg bag, and Goetze’s NEW Caramel Creams and Cow Tails peg bags. Hershey’s Brookside delicious fruit flavored centers, Pomegranate and Acai flavors, covered in dark chocolate are the perfect Fall indulgent snack! Don’t miss ‘perfect for the season’ pumpkin flavored coffee for your in-store coffee station and our new ECIG brand V2 from National Tobacco! October’s Common Sense is packed with great offers, new products, and stock-the-shelves necessary grocery items. “Spot the Dot” and Save! Click to see October’s HOT BUYS! August Sizzling Summer Savings – Common Sense Promotions Start Today! Click below to see August Specials. 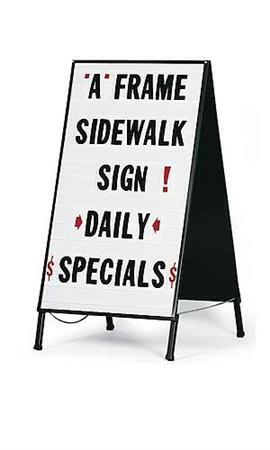 Pricing and Promotions valid 8/5/2013 through 8/30/2013. If you do not have an online shopping account with AB,click here to apply, http://https://www.abdelivers.com/MyAccount/Login.aspx? Nature Valley Soft Baked Oatmeal Bars offer 100% natural whole grain oats soft baked to perfection. Available in Cinnamon Brown Sugar and Peanut Butter flavors, each Nature Valley Soft-Baked Oatmeal Bar offers 18 to 24 grams of 100 percent whole-grain oats at a suggested retail price of $1.19. The Betty Crocker Caramel Brownie is a delectable grab–n-go treat to offer your customers. The 1.7-ounce, deliciously moist and chewy chocolate brownie is now packaged exclusive to C-Stores. The Betty Crocker Caramel Brownie has a suggested retail price of $1.39. ORDER TODAY AND RECEIVE $2.00 OFF EACH BOX. OFFER ENDS END OF DAY 8/2/2013. Offer applies to approved customers. 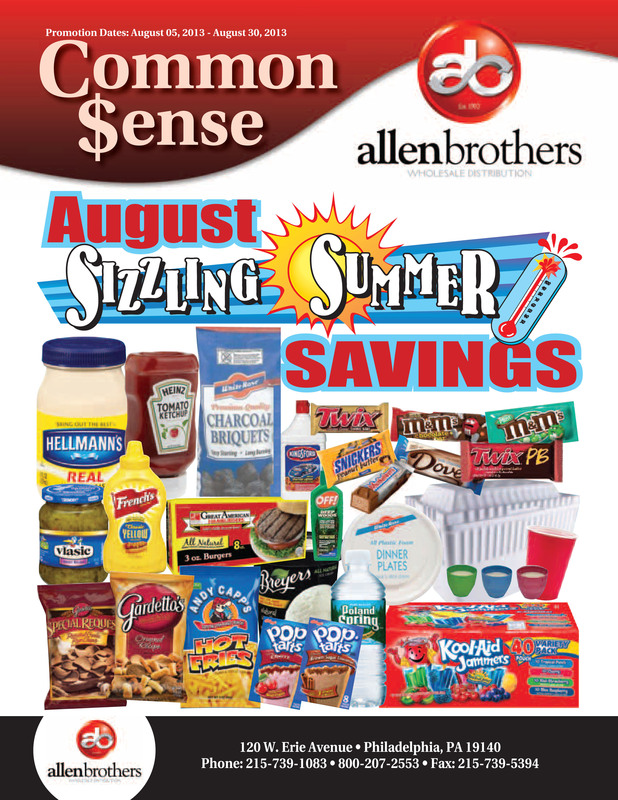 Allen Brothers has SPECTACULAR SAVINGS for July. We offer HUGE Discounts and feature LOTS of new items for you to try. These offers will light up your fireworks! Children are off from school and AB has all the Kids Mania candy toys you can handle. Specialized with its own display rack, Kidsmania “Puts the Fun in the Munch” ™. Starburst® are bursting with minis to share. They are packed in a 15 ct. box and retail for $1.89 SRP. Richies® Italian Ice has a fruity assortment of flavors. This is packaged in individual easy-to-carry 10 oz. cups, packed in 12 cups/case. This is a great item to carry during these hot, summer months. We have a brand new item for your roller grill. These three delicious flavors of Schmidt’s Bahama Mama Spicy Smoked Sausage will bring your customers back again and again. Bahama Mama sausages lasts longer than your regular hot dog on the grill and is packed in retail size to store right in your cooler so you do not have to use up a lot of back room storage. This is a gourmet item that you must get rolling today. Spot the Savings Dot through-out AB’s July Common Sense for special savings and specials. Check out the flyer today.